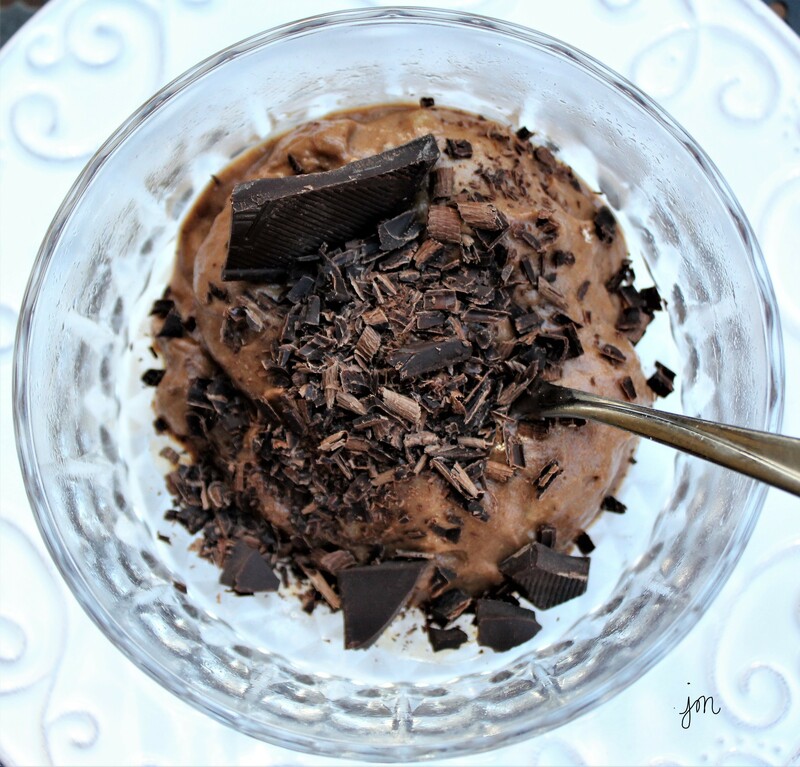 Dairy-Free Chocolate Peanut Butter Banana “Nice” Cream. Can you even stand how decadent and amazing this ice cream looks??!! Well – it is actually “nice” cream! A dairy-free, healthy version of ice cream made from fresh, natural ingredients. When my daughter-in-law, Liz, who is a Certified Nutrition Specialist (CNS) as well as a Licensed Dietitian Nutritionist (LDN), recently posted this recipe on the blog of her website about functional nutrition, Nourish & Flourish, I knew I had to try this! Liz’s knowledge about holistic nutritional health is extraordinary, and she “preaches” and practices maintaining a “normal” lifestyle with most everything in moderation. I really am very proud of her, and this recipe is nothing short of AMAZING! You will not miss the dairy, added sugar, or all the preservatives you are used to consuming in your usual ice cream. 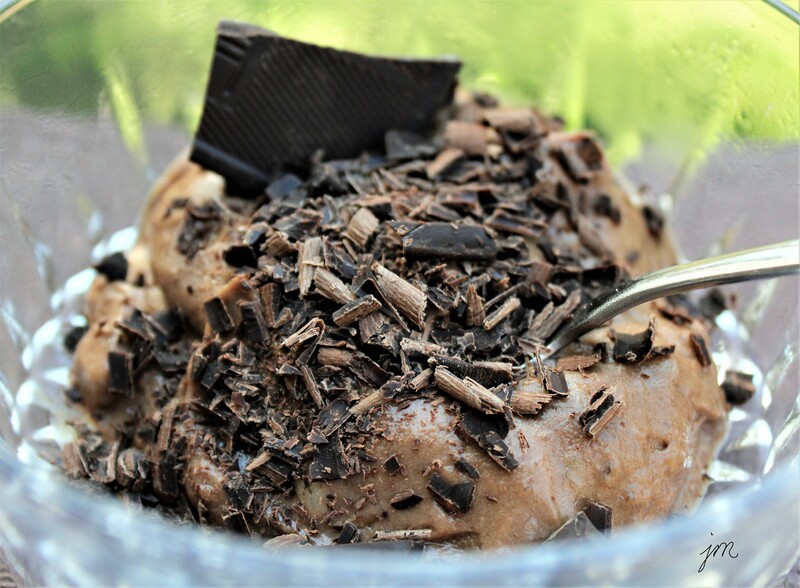 Please click on THIS LINK for the recipe for this delicious “Nice” Cream on Liz’s website and blog. I hope you will subscribe to her blog post as there is always something interesting to learn or to try making for a healthy alternative. Liz also has a Facebook page and Instagram page, which I encourage you to follow as well. And if you live nearby Pittsburgh, PA, Liz is available for individualized nutrition consulting. You can get a free 15-minute consult by signing up here. 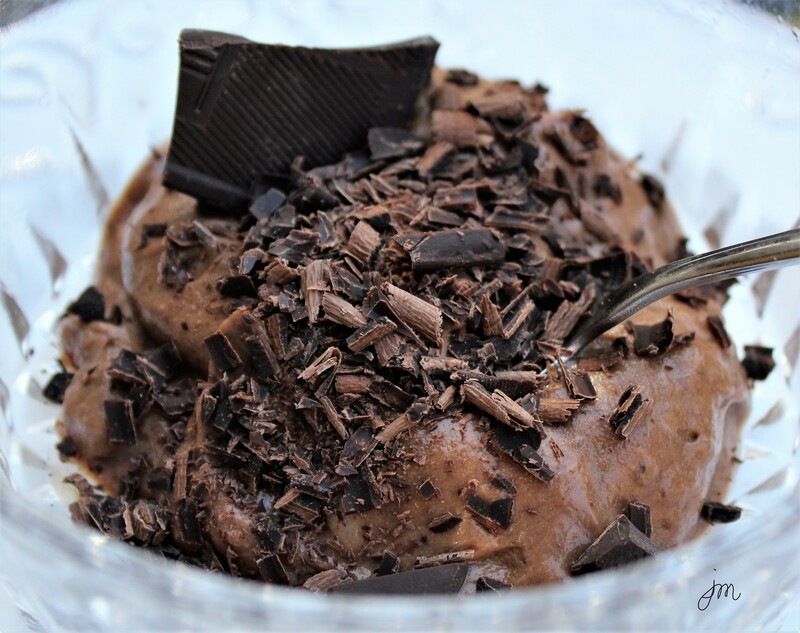 But first – make this Nice Cream and let me know what you think!! 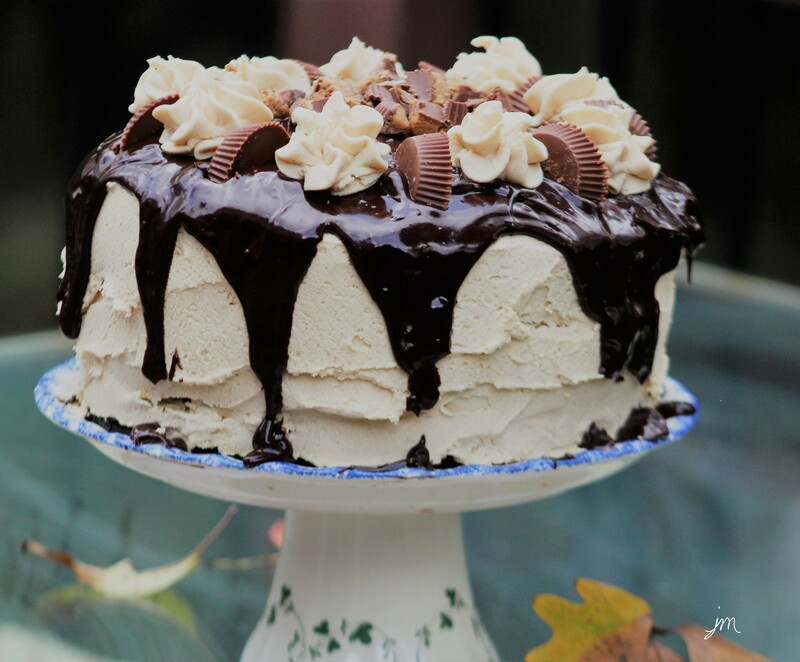 Peanut Butter Chocolate Triple Layer Cake. 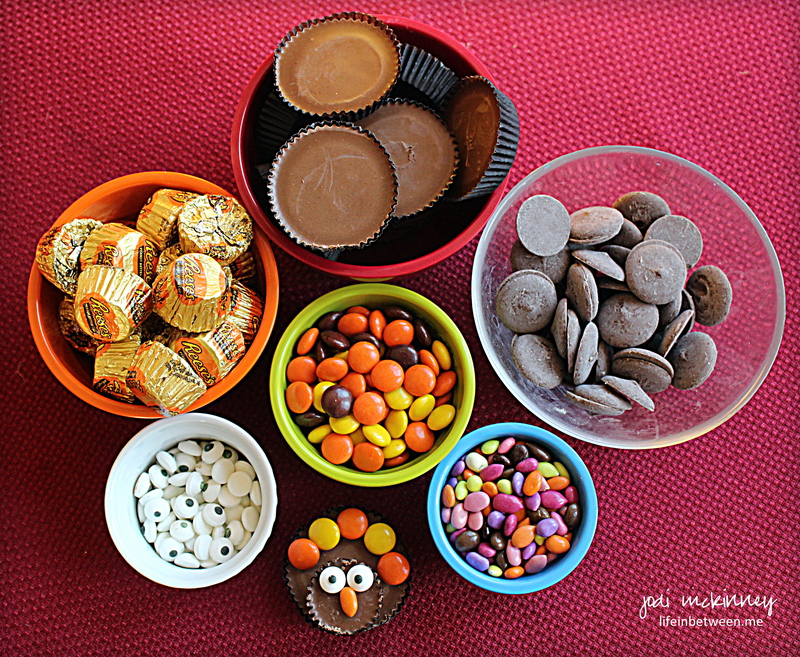 Our family is pretty much huge fans of Reese’s peanut butter cups and all things peanut butter and chocolate. 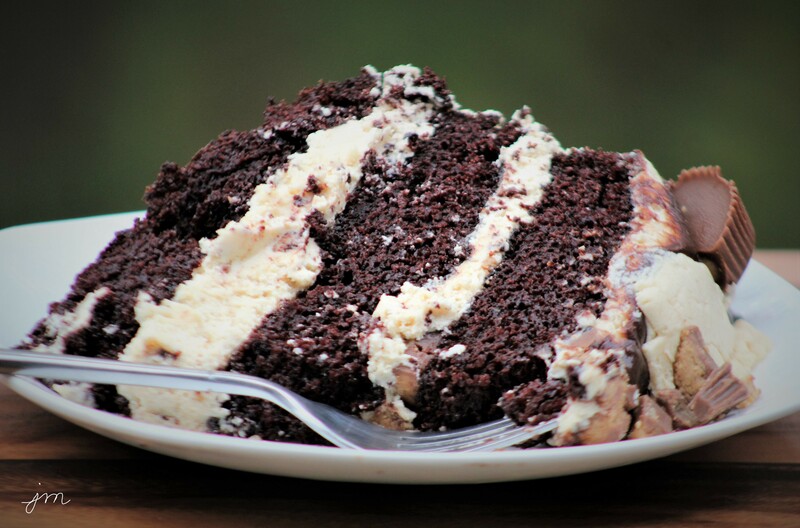 So when it came time to celebrate one of my son’s birthdays recently, I was excited to try this Peanut Butter Chocolate Triple Layer Cake recipe I found at Life, Love, and Sugar. Disappoint it did not!!! 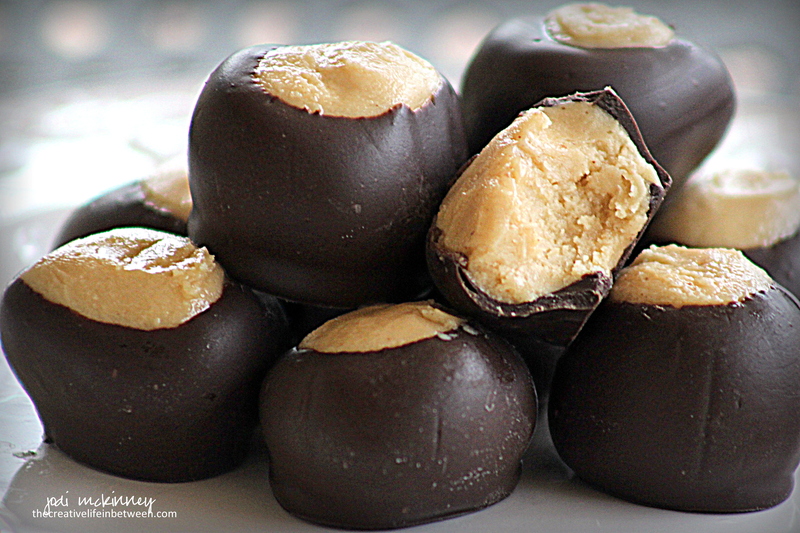 Oh the chocolately peanut buttery amazingness! Want to see it a little closer?! 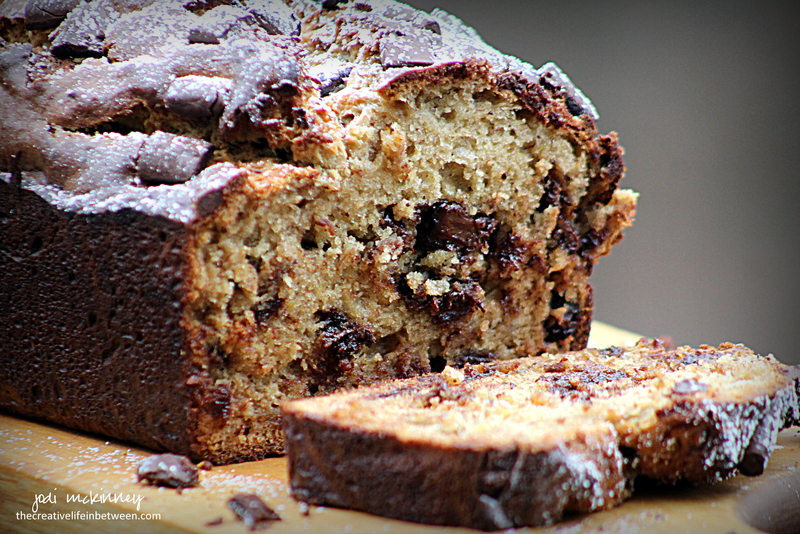 This cake is not for the faint of heart…. 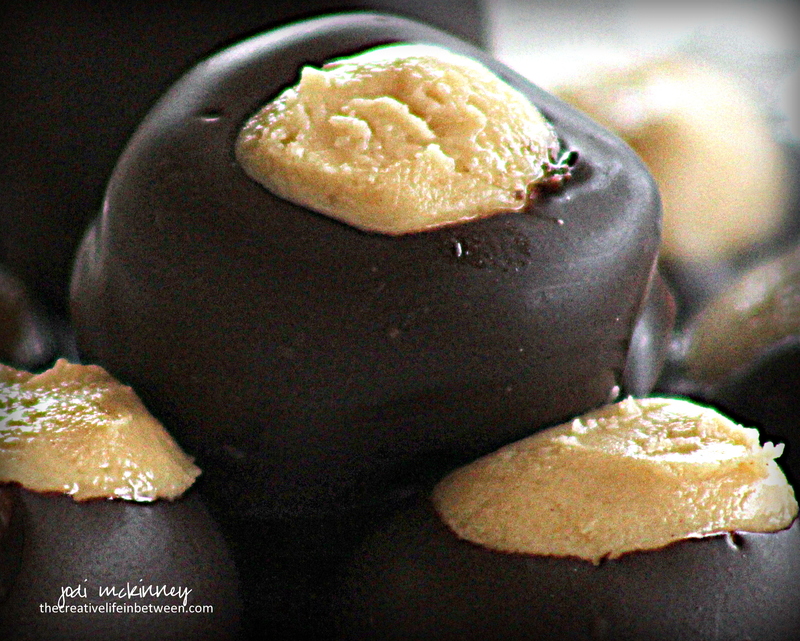 yes -it is only for the most serious of chocolate and peanut butter addicts! Want to see what a slice of it looks like? 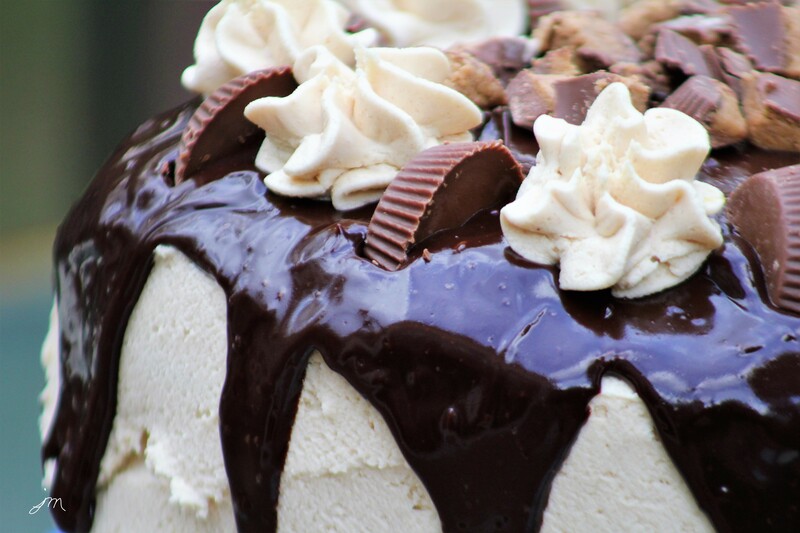 Yep – that is three heavenly layers of moist chocolate cake separated only by a fluffy peanut butter frosting and chopped up Reese’s peanut butter cups! Can you even stand it??!! As much as we all love our peanut butter cups, we decided this cake would be just as delicious or possibly even better with half the frosting, so that is how I will likely make it next. You decide – half the frosting or all…. but I’m betting you are going to be somebody’s super hero if you make and serve this cake! Prepare three 9″ cake pans by spraying them with Pam Non-Stick Cooking Spray then placing a parchment circle on the bottom. Combine flour, sugar, cocoa, baking soda and powder, and salt in a bowl. Combine milk, oil, vanilla, and eggs in an electric mixing bowl. Add dry ingredients to wet ingredients in mixing bowl, and mix until well combined. Slowly add the hot water to the batter, and mix on low speed until well incorporated. Pour the batter evenly between the three prepared pans, and bake for 20 – 25 minutes until toothpick inserted comes out clean. Remove pans from oven, and allow cake to cool in pans for 3-4 minutes, then remove to a cooling rack. When completely cool, wrap in plastic wrap and freeze for several hours, overnight or for several days or weeks. When ready to assemble cake, prepare frosting by combining the butter and peanut butter with electric mixer until smooth and creamy. Slowly add half the powdered sugar until incorporated. Add half of the half and half and combine. Add remaining powdered sugar, then remaining half and half, and combine until smooth and fluffy frosting is formed. Place first layer of cake on a serving plate. 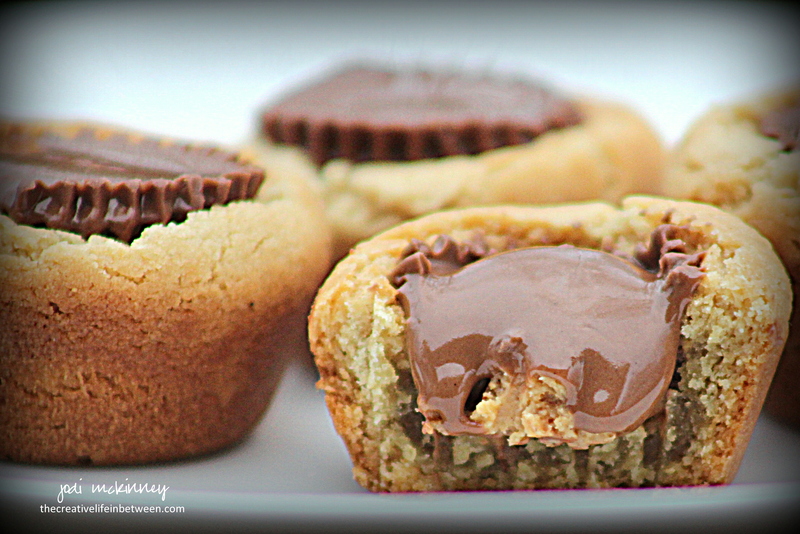 Top with frosting and 3 chopped Reese’s peanut butter cups. Add the next cake layer and repeat frosting and peanut butter cups. Add the final cake layer and frost top and sides of cake, reserving 1 cup of frosting for piping decorations if desired. Make chocolate ganache by heating 1/2 cup heavy whipping cream in microwave for 1 minute. Add one cup of chocolate chips. Let set for a couple minutes, then stir until smooth ganache is created. Pour on top of cake allowing some to drip down sides. Decorate top of cake with chopped and halved Reese’s peanut butter cups and piped florets of frosting. It is a bit tedious. It makes a mess in the kitchen. I could be binge-watching Gilmore Girls on Netflix or painting or exercising or reading or so many other things. There’s something about using Grandma’s old tin measuring cup and reminiscing about childhood summers. There’s something about the way the house smells like home when you bake. 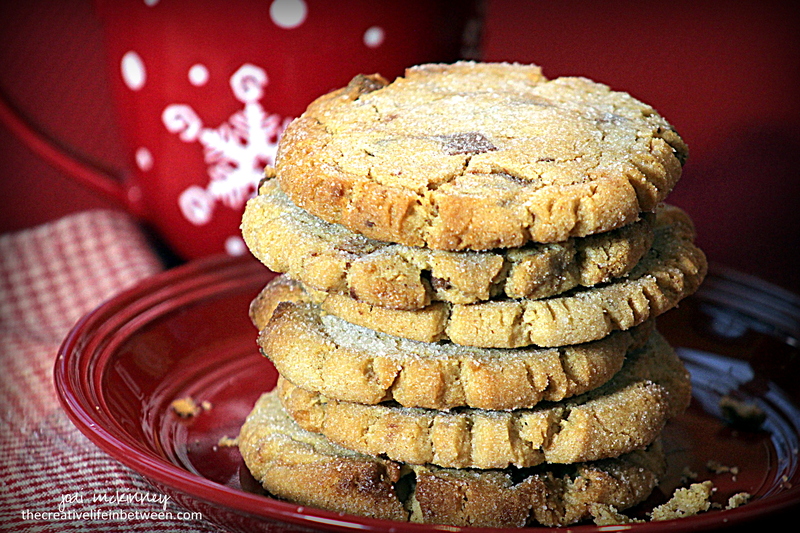 There’s something about the smiles you know will emerge when hubby sees stacks of cookies cooling on racks when he comes home or comes in from out of the cold. There’s something about making goody packages to send home with your kids (even though they are grown and on their own and perfectly capable of making themselves). There’s something about taking a special treat into the office for a long day of meetings and seeing your co-workers’ faces light up. There’s something about taking a plate of cookies to the Thursday night gang at John’s Bar and watching your buddy eat one cookie before his dinner and two after. There’s something about trading a cookie or piece of cake with Cliff the mailman when he delivers a package and handful of mail right to the kitchen door (with a treat always in hand for your furry kid). 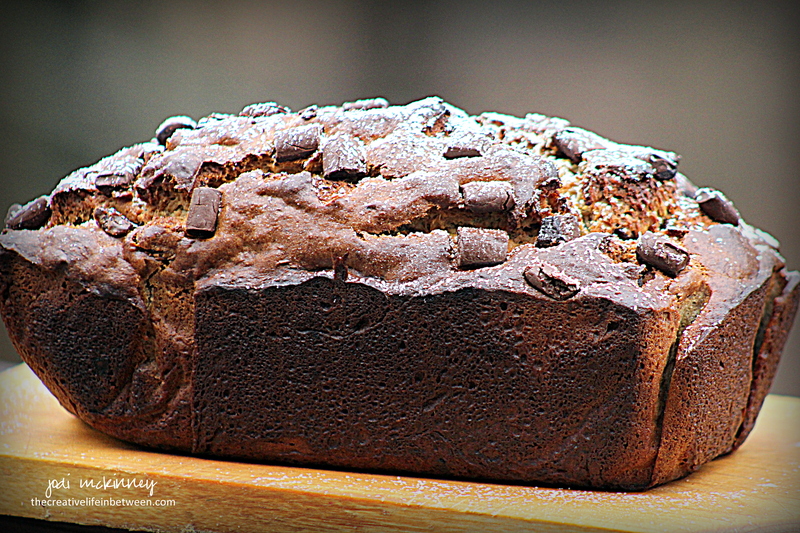 So you see – baking is more than the chore of mixing butter and sugar and flour. It’s about creating happiness. 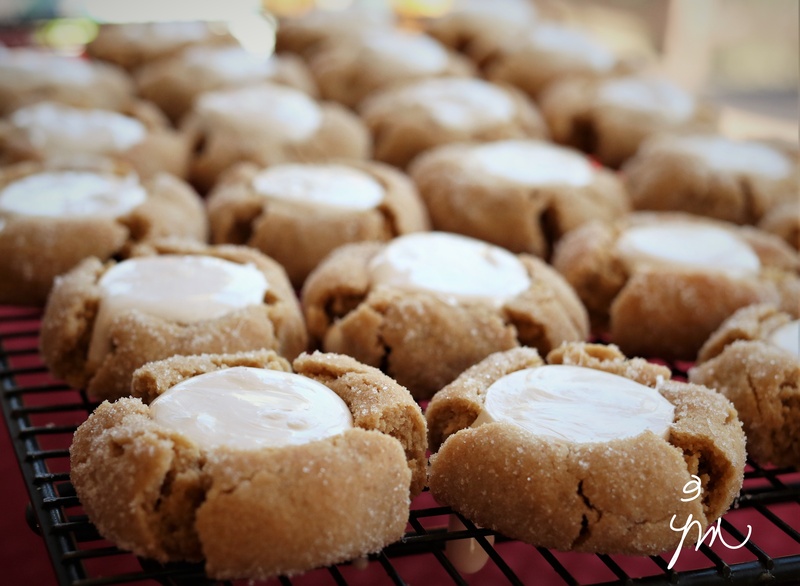 When I read a recent blog post by one of my very favorite blog writers, Pam at Catching My Drift, I knew I HAD to try her cookie recipe. 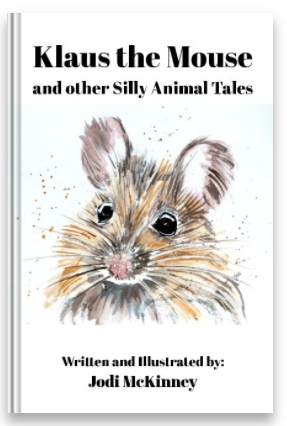 Pam is not a food blogger, but a storyteller – a GREAT storyteller I might add. 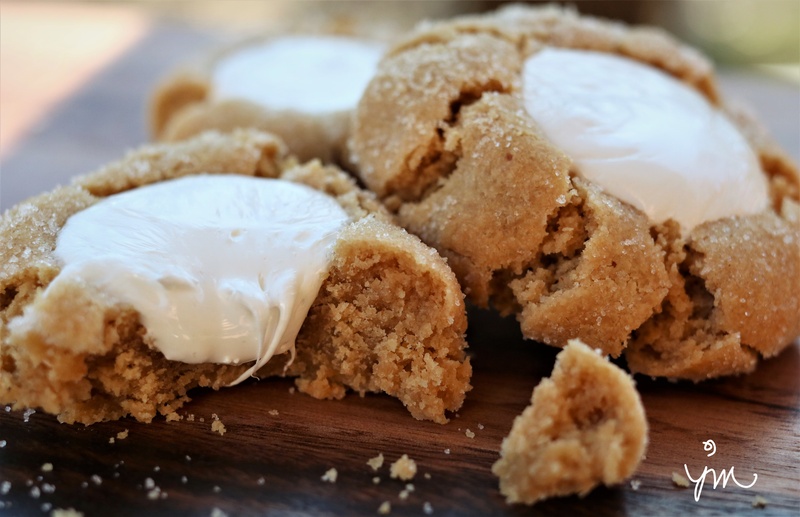 And the story she wove about her persistent and passionate quest to recreate her ultimate cookie painted a picture of the most heavenly bite on earth. 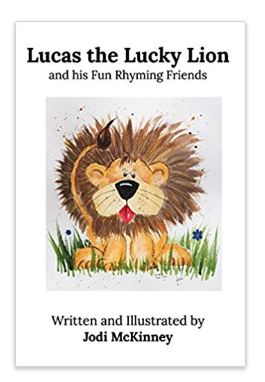 Pam tells the story of how she loves sitting in the Starbucks snack bar of her local Barnes & Noble noshing on the most amazing Reese’s peanut butter cookie while sipping dark Italian roast and paging through glossy magazines. 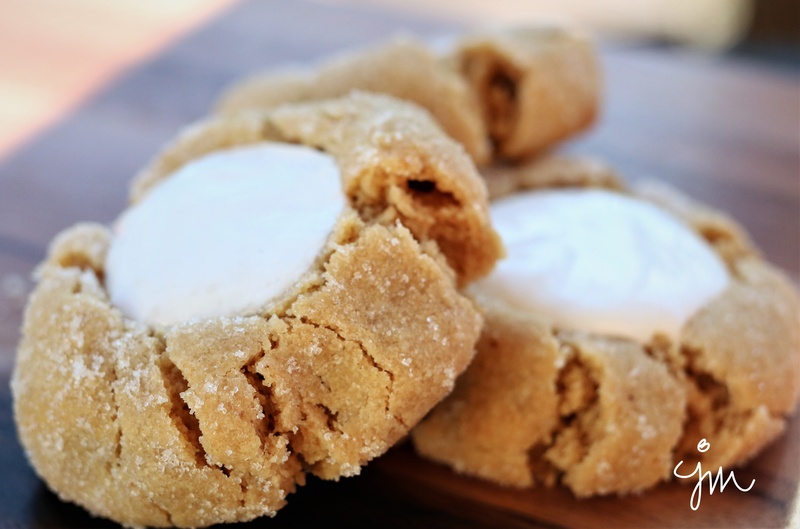 You must read about her 35-year quest to recreate this cookie and the surprising place she found the recipe. 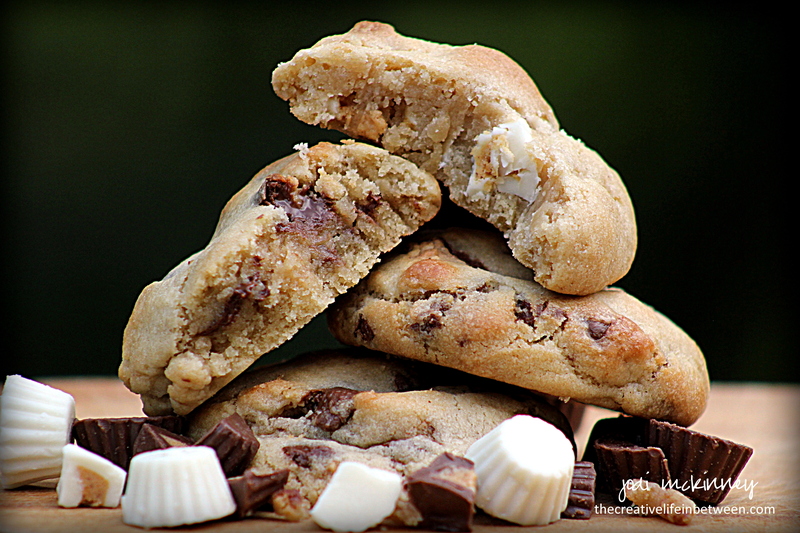 Well, dear Pam, we were certainly not disappointed in this Ultimate Reese’s Peanut Butter Cookie! It is indeed the ultimate. It is a new favorite of hubby’s. 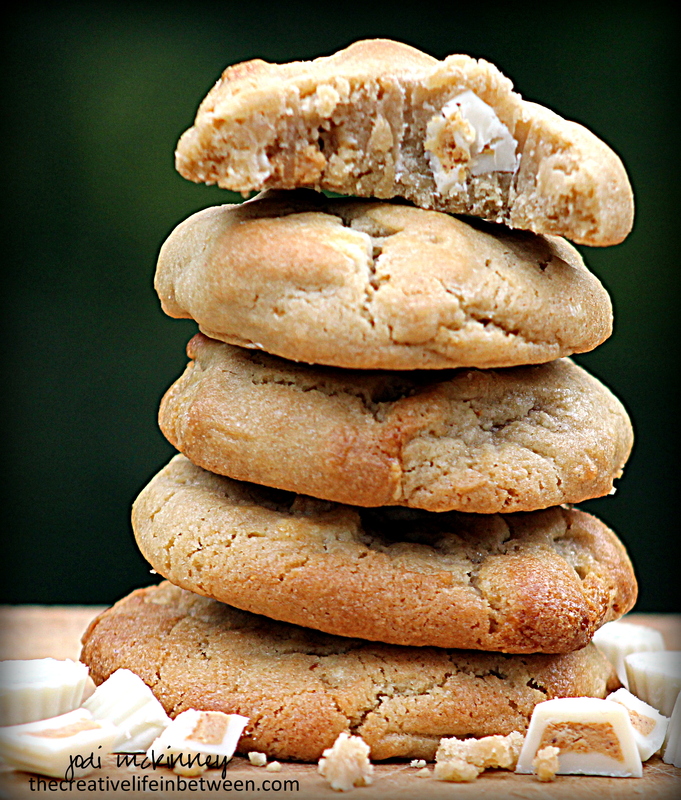 And it will now be a staple in my cookie recipe collection! They are super crispy on the outside edges and tender and soft on the inside. The perfect combination of texture and flavor. Here is the recipe as shared by Pam (which of course I doubled – because I knew I had to share)! Beat first six ingredients until fluffy. Add next four ingredients. Blend well. Fold in chopped candy. Shape into 1 1/2 – 2 inch balls. Roll in sugar. Place 2 inches apart on ungreased cookie sheet. Flatten with sugared bottom of glass. Bake 12-15 minutes or until browned on the edges and beginning to crinkle. Remove from oven, and cool completely on wire cooling rack. 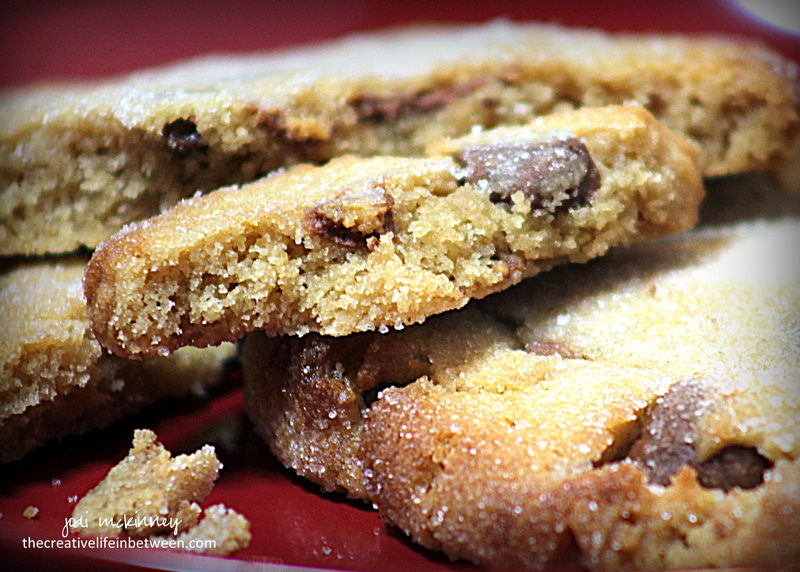 If you stopped by our house, and there weren’t any cookies (in the freezer)… well…. it just wouldn’t be our house. Nothing fancy really. 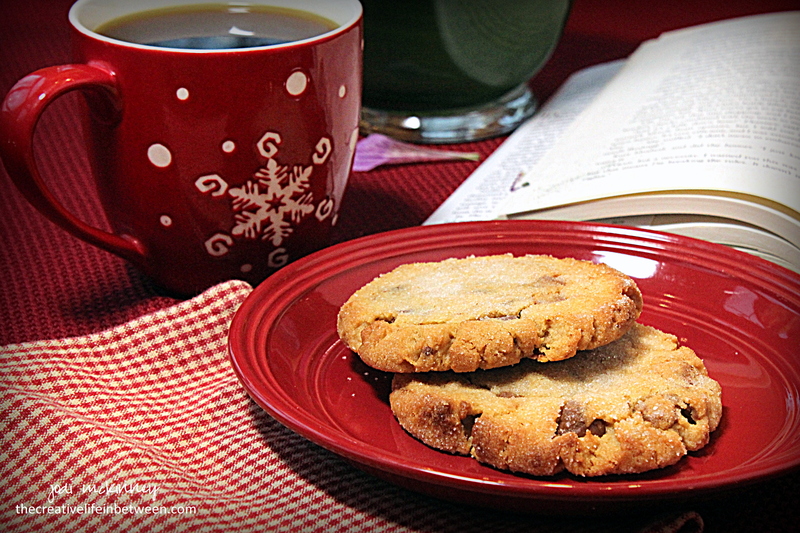 Usually just some sort of chocolate chip or oatmeal raisin, but always some cookies in the house. 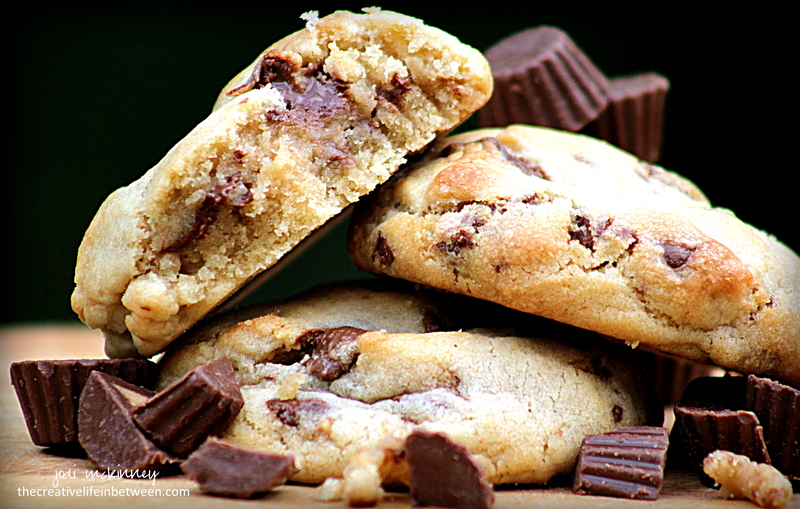 This week, I baked some peanut butter cup cookies. 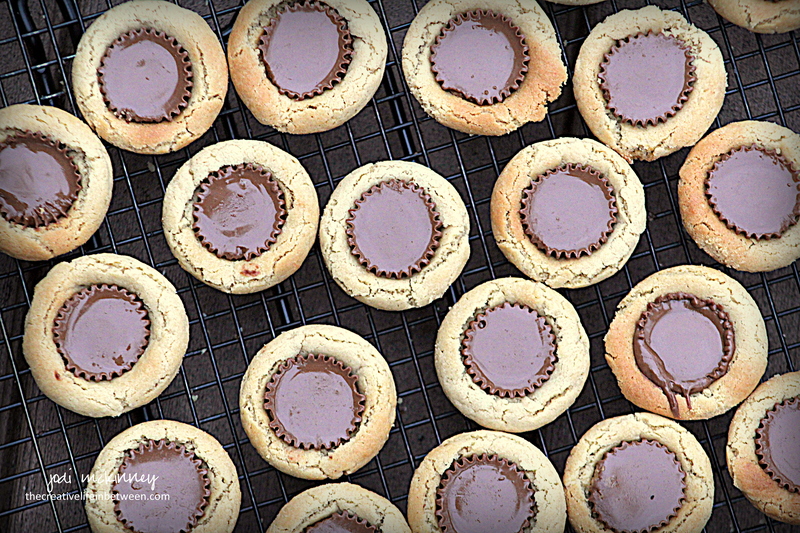 One batch with Reese’s White Mini Cups and the other with traditional milk chocolate Reese’s Peanut Butter Cup Minis. You could combine the two in one cookie if you like, but I think people typically take pretty firm stances on liking white or milk chocolate, so I kept them separate. I’ll be taking these to our book club party this weekend, but if you stop by, there will be some I’d be happy to offer you. I share my cookies with Mike the UPS man, Cliff the mailman, and Adam the bug spray guy. Most of our friends and family who stop by know to just check the freezer drawer to see what this week’s treat is and help themselves. I love that! When you are comfortable enough in my house to help yourself to whatever is in the fridge or freezer, I am in my happy place. 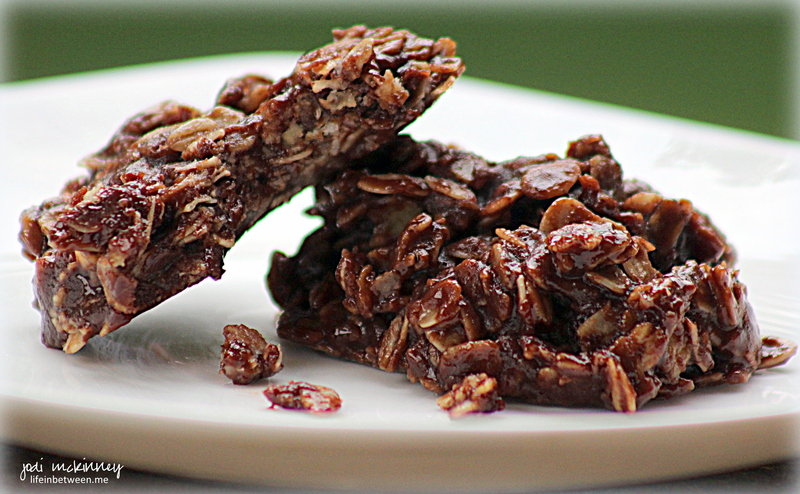 Here is my recipe if you are looking for a delightful treat that is sure to please. 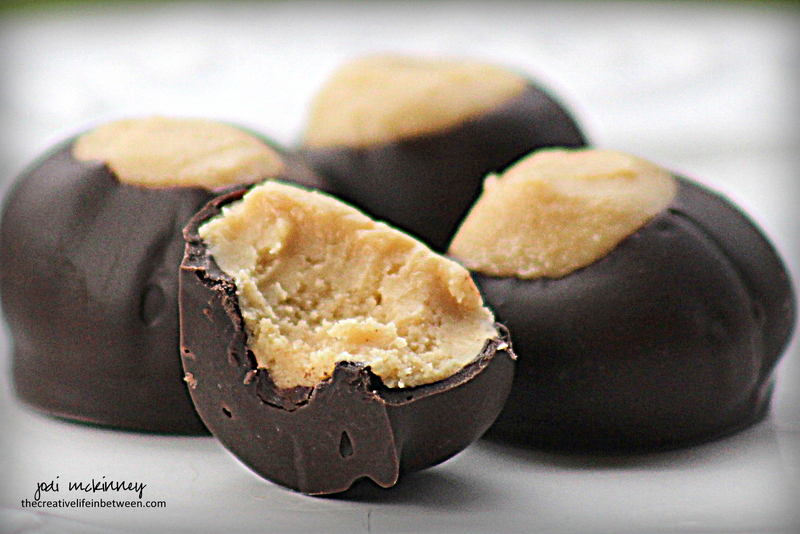 You can substitute the peanut butter cups with chocolate chips or any other type of chopped candy you love. In the bowl of electric mixer, beat butter until creamy. Add sugars, vanilla and eggs, and continue beating until light and fluffy. Add salt and baking soda. Then gradually add in flour, one cup at a time, and mix just until incorporated. 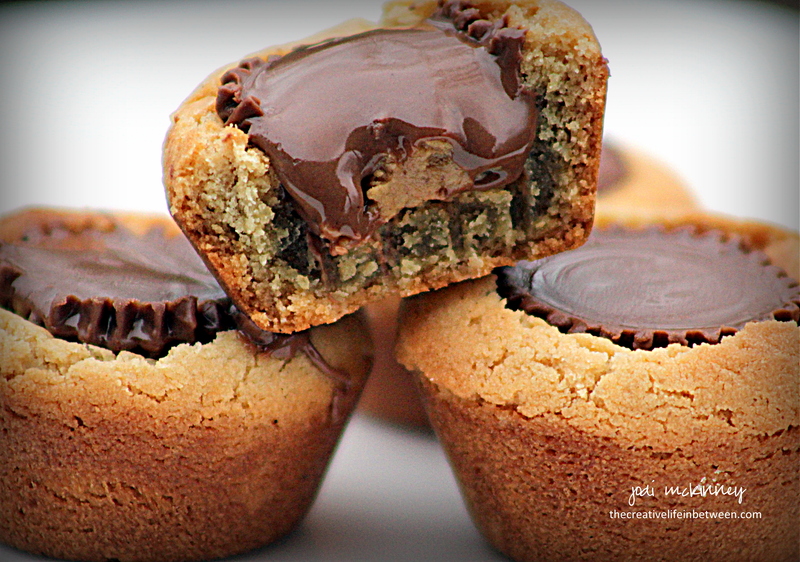 Stir in coarsely chopped peanut butter cups. Chill dough in refrigerator for several hours. Form dough into golf ball sized balls and place on baking stone or cookie sheet. Bake approximately 10 minutes until lightly golden brown. Allow to cool on baking stone/cookie sheet for 10 minutes. Transfer to cooling rack, and cool completely. 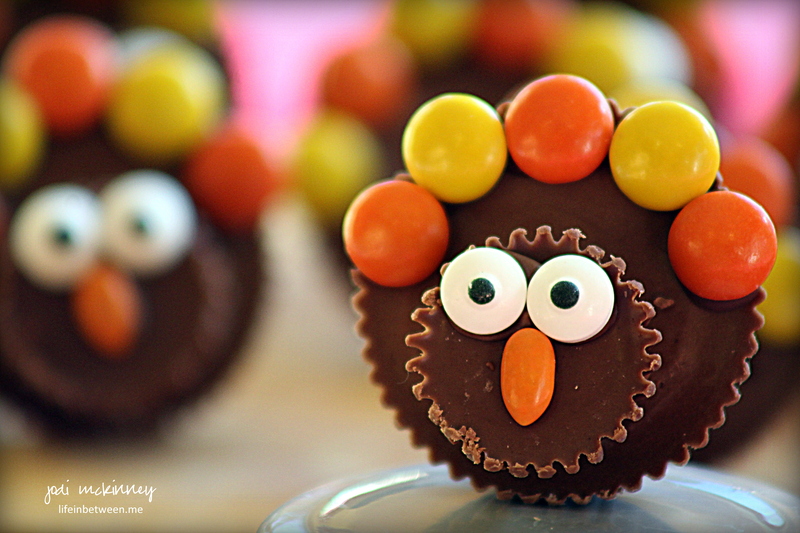 Whether you are a white turkey breast lover or a dark turkey leg, thigh or wing lover, you have to love these adorable Reese’s Peanut Butter Cup Chocolate Thanksgiving Turkeys! A Reese’s lover’s dream come true using full size, miniature size, and Reese’s pieces all in one amazing treat! There’s still plenty of time to throw these together for your Thanksgiving festivities. I made 12, and it only took about a half hour. Melt Candy Melts or Chocolate Chips by heating in microwave for 1 minute, stir, then heat 30 more seconds, and stir again. Spoon into a zipper sandwich baggie, push to one corner, seal, and then snip a tiny corner to allow you to squeeze chocolate out for “gluing” chocolate pieces together. “Glue” Miniature Reese’s Cup to Full-Size Reese’s Cup with a dab of chocolate. 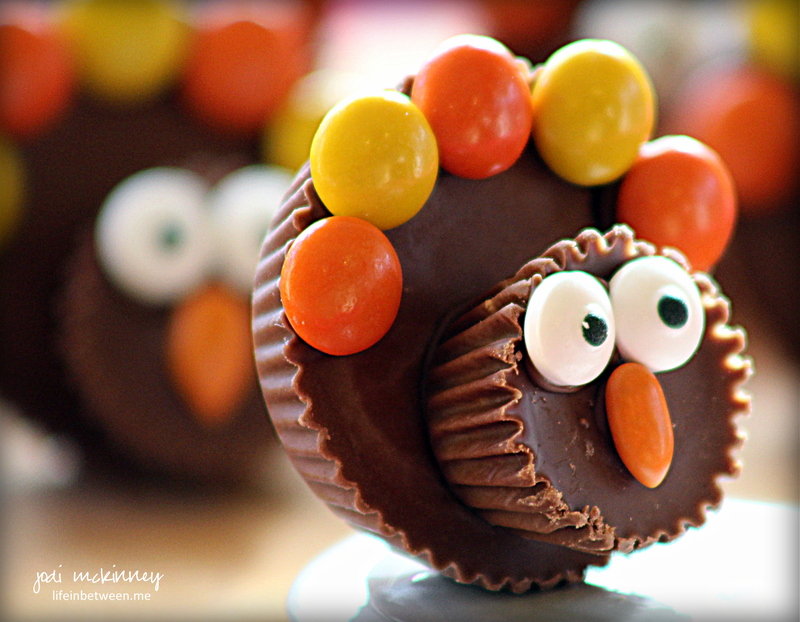 “Glue” on Reese’s Pieces Feathers using a strip of chocolate squeezed across top of full-size Reese’s Cup. “Glue” on eyes and nose. 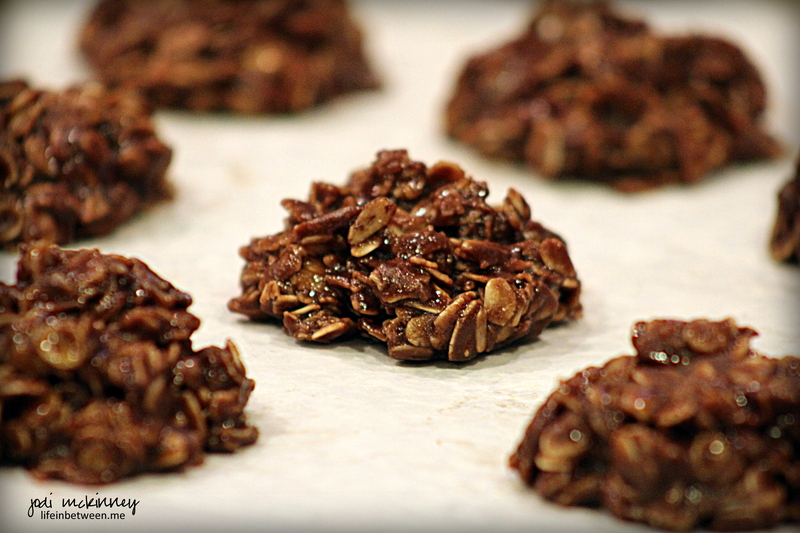 Do you remember these chocolately no-bake cookies from your childhood? My Grandma’s friend and neighbor, Audrey, used to make these in the summer, and I loved them. I hadn’t thought about them or had them in a long time. Then I noticed my friend, Janet, posted this healthy, no-sugar version on her Facebook page. Yesterday was our first day home from vacation, and there were no cookies in the house. That is something that doesn’t happen often around here! Knowing we were heading over to our oldest son’s and daughter-in-law’s house for a visit, I didn’t want to go empty handed, so I thought I would give this recipe a try. The original recipe from my childhood calls for 2 cups of sugar, 1/2 cup of butter and 1/2 cup of milk. This recipe has no butter. It uses healthy coconut oil instead. And it uses no milk. And best of all…. 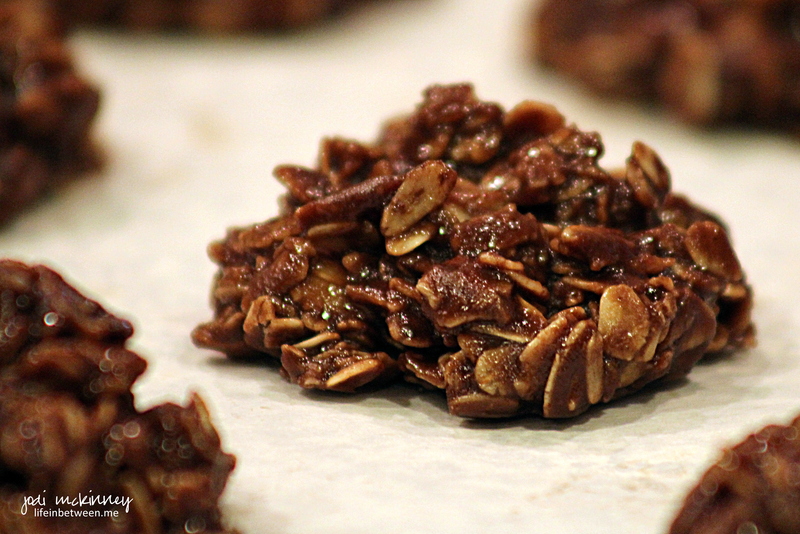 these “healthy” cookies taste DELISH! And… they take only minutes to make. They are best eaten right out of the freezer on hot summer days. 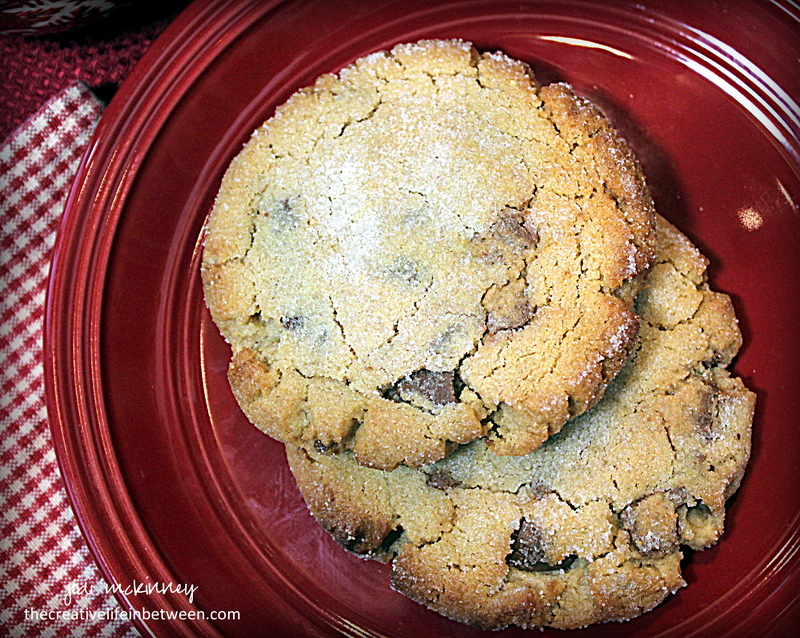 The recipe Janet shared is from 12 Tomatoes, and they say the recipes makes three dozen cookies. It was good to be back in the kitchen – even if only briefly – and not really baking! But it was even better to be with our “kids.” And I played ladder golf for the first time. Us girls ALMOST won! In a medium saucepan over medium-high heat, combine honey, peanut butter and coconut oil, stirring until well blended and smooth. 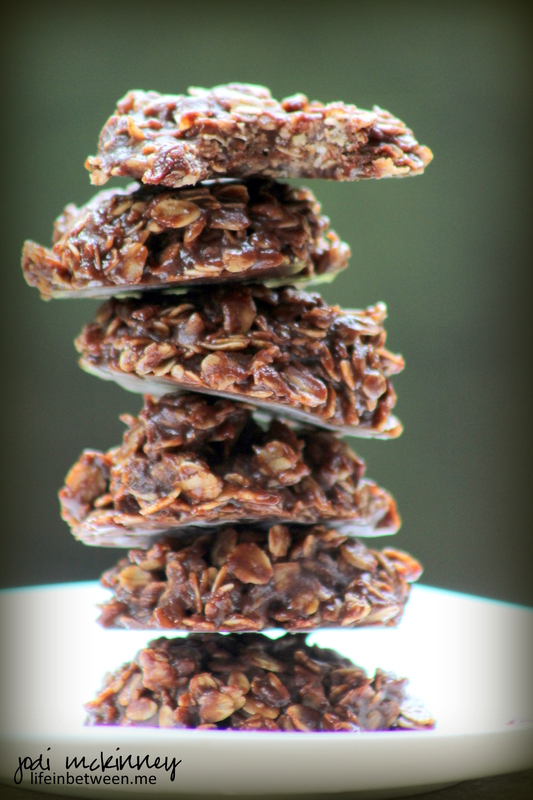 Stir in oats, cocoa powder, vanilla and salt and mix well. Place in freezer for at least 15 minutes to set. Store in an airtight container or Ziploc bag either in the fridge or freezer.